In a few short years, Bonnaroo has quickly become one the US's biggest and best festivals. Set on a 700 acre farm in Manchester, Tennessee, it's the playground of the cool kids and the hippies, at the same time, on the same field. It played home to one of the few Radiohead U.S. gigs in 2006. Bonnaroo organizers 'bought the farm' in 2007, the land is in Manchester in Coffee County, Tennessee. A statement on the Bonnaroo web site said "As you may have heard, we have purchased a major portion of the beautiful farm where Bonnaroo takes place each year. We are very excited about the opportunity it will provide us to improve the festival for years to come. We now have a permanent home in Manchester and look forward to seeing you there every year during Bonnaroo time!" Check out the Bonnaroo Music Festival Video Channel on the Spacelab Media Player with videos from last year's outing, including performances from the Flaming Lips, LCD Soundsystem and more. The Bonnaroo 2012 schedule is not yet available. 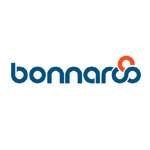 Last year, Bonnaroo created the Bonnaroo Buzz Tour as a way showcase emerging artists, including Grace Potter & The Nocturnals, Futurebirds, Gary Clark Jr., The Black Box Revelation, and comedian Julian McCullough. No lineup announced yet. Who do you want to see in the lineup?